PureAire Monitorings Systems, Inc.of a renewable, highly selective electrochemical sensor and companion transmitter linked to an optional control panel, the HF Monitoring System is available in a variety of configurations and may be equipped with or without a local readout. The system is designed to respond quickly and accurately to hydrogen fluoride leaks and can be used for fenceline monitoring and other applications where wide variations in temperature and humidity levels is common. 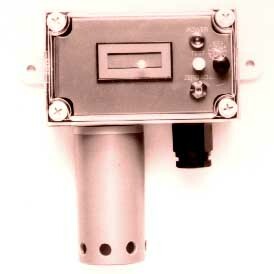 It is available with a measurement range of either 0 to 9 ppm or 0 to 50 ppm. The signal from the transmitter may be routed directly to alarm, control or facility-wide surveillance systems for installation versatility.